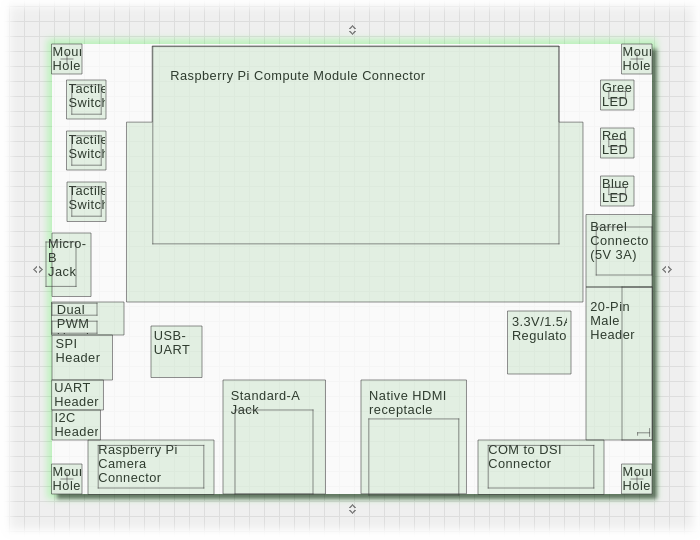 Gumstix Raspberry Pi Family - Get your Pi design to the market fast! | Gumstix, Inc.
Give Your Pi Voice, Eyes and Sensors, and now 5G! Follow QuickStart guidelines to reduce cost and accelerating integration. Target applications include smart speakers, smart home and IoT devices, router and gateway devices, sound bars and set-top boxes. Gumstix support for Raspberry Pi® is Growing! Design a custom Pi board with Geppetto - No Engineering Required! 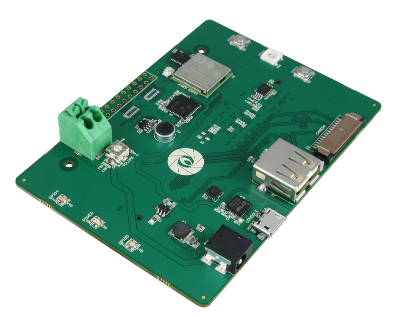 Choose from a host of Gumstix Pi HAT or Raspberry Pi® CM boards to power your Pi. Gumstix now provides custom Yocto Linux disk images (Morty), curated to provide complete support for Gumstix Pi HATs and Compute Module carrier boards. Gumstix Yocto Linux downloads are available on applicable product pages under the software tab. The Raspberry Pi® Compute Module, RisingHF RHF0M301 LoRa® gateway/concentrator module, and the Pi Conduit PoE development board come together to deliver LoRaWAN connectivity where conventional power delivery can't. 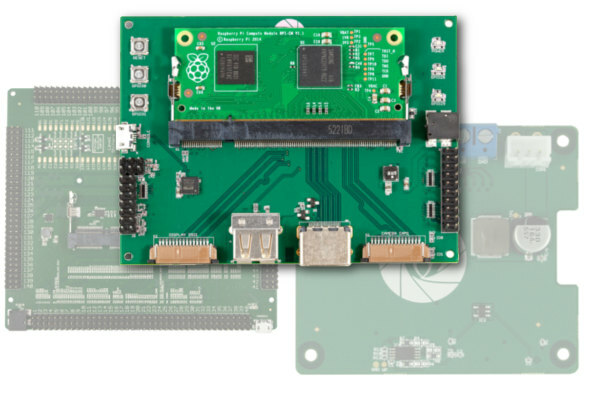 Every feature of the Raspberry Pi® Compute Module and Compute Module 3 is laid to bare with this breakout board. Easily monitor digital, analog, and differential signals via 0.1"-pitch pins. 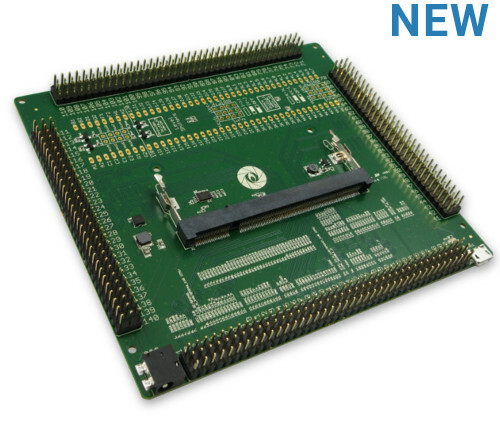 The headers on each side of the board provide 3 terminals for each pin of the 200-pin SODIMM connector, and a USB-microB connector provides a UART console connection. A set of level shifters accommodate 3.3 and 1.8 volt logic levels for peripheral devices. The Dual H-Bridge Stepper Motor Driver provides a highly-integrated stepper motor driver for security camera mounts, printers, projectors, and automated equipment. With a 1.8°/step motor, this board can divide a full 360° rotation into 6400 distinct positions for surgically precise motion control. Variable torque and decay rates, as well as adaptive blanking, make this stepper motor driver a versatile robotics component. Add sensors, LEDs and pushbuttons to your Raspberry Pi with a HAT (Hardware Attached on Top). The Pi HAT Sensor Board provides 9-axis motion detection, Pre-GO connectability, and ambient pressure and temperature sensors along with an LED array and pushbuttons. It also includes an RTC and supports RPi 3! In Geppetto®, all ports and signals for the Pi HAT connector are pre-configured to support up to the Raspberry Pi® 3. The simple drag and drop Geppetto library makes it a snap to add GPS, LEDs and more. Now you can create your own Pi electronic design to your exact specifications with no engineering required. Save time and money, and avoid mistakes. Powerful multimedia board for the Raspberry Pi® Compute Module. Includes DSI connection for Raspberry Pi® display, CSI2 connection for Raspberry Pi® camera and much more. The Raspberry Pi® Compute Module connector in Geppetto connects your board to the ports and signals of your Compute Module. Just choose a board size, and easily add DSI, CSI2, HDMI, USB and more. Just copy the Gumstix Pi Compute module board into Geppetto and add or delete modules to your specifications in minutes. Pre-tested, production-ready board shipped to you in 15 business days. Brings Ethernet to your Raspberry Pi® Compute Module. A 10/100 connection is provided via USB using a Microchip LAN9512 Ethernet controller. Initialize or overwrite the Raspberry Pi® Compute Module embedded storage with a new disk image, or mount the file system to your PC. Use it to flash all your Pi Compute Modules.